When most people think of Thanksgiving, they think of that delicious turkey, cranberry sauce, the perfect stuffing and that pumpkin pie…I could never forget about the pumpkin pie! Do you have company on Thanksgiving? If so, you’re probably wondering what to serve for Thanksgiving brunch. Well, it’s your lucky day because we have a delicious collection of a dozen brunch recipes that are perfect for Thanksgiving. 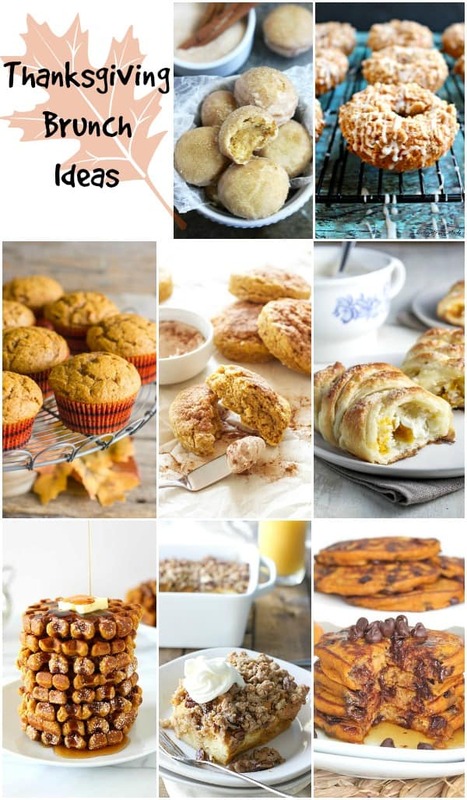 This is a collection from other talented bloggers and bakers. To view the full recipe for each, simply click on the titles of the recipes. You can never have enough pumpkin during the Thanksgiving season. 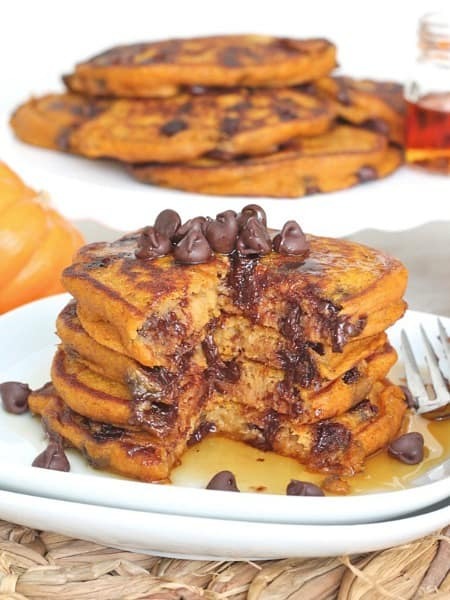 Your house guests will love waking up to these Pumpkin Chocolate Chip Pancakes (pictured above) by The Baker Mama. 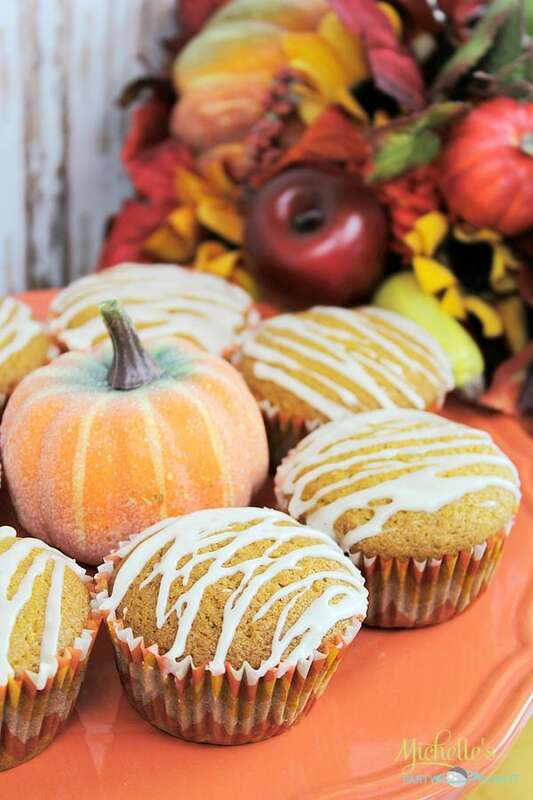 These Glazed Pumpkin Muffins by Michelle look irresistible! 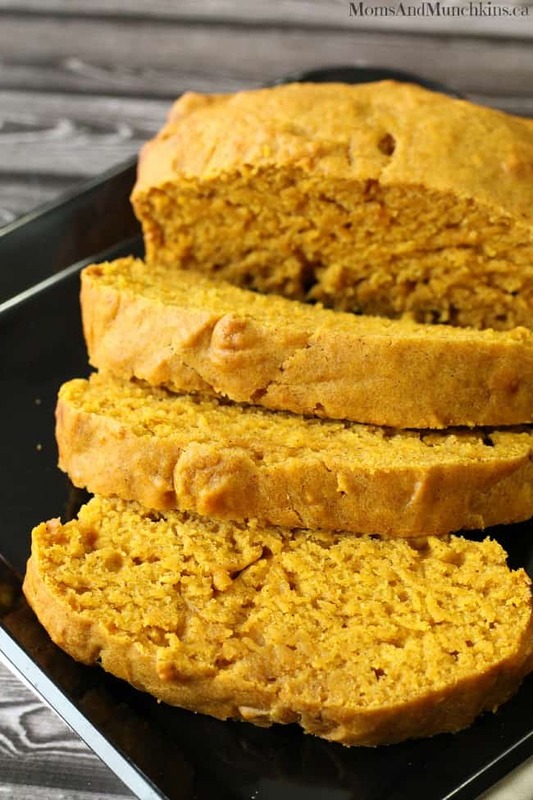 This Pumpkin Loaf is great for brunch or an afternoon treat. It’s one of my son’s favorites! Whenever I’m at a continental breakfast at a hotel, I’m always looking for the waffle station. I love waffles! 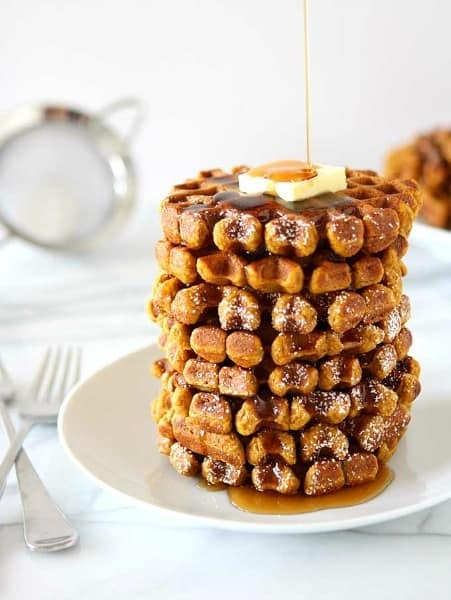 These Whole Wheat Pumpkin Spice Waffles by The Kitchen Paper look amazing! 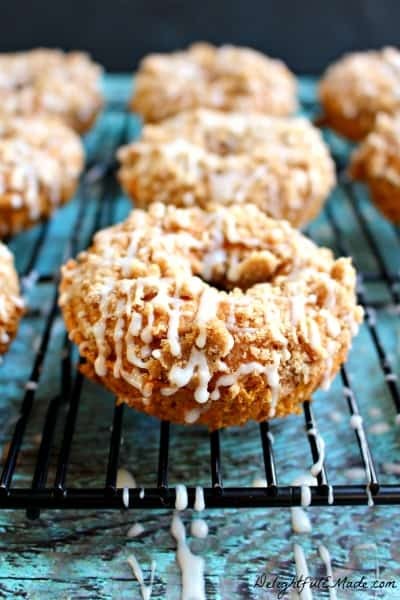 These Pumpkin Coffee Cake Donuts by Delightful E Made would be perfect for a mid-morning coffee break before all the Thanksgiving kitchen chaos begins. 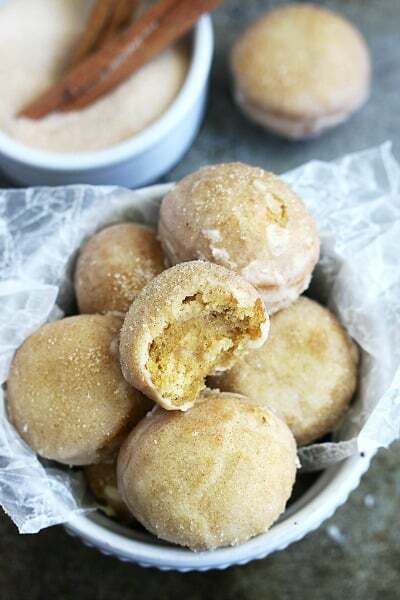 I truly believe that when a dessert is in a mini form, the hostess clearly wants you to eat two (possibly three to four) so don’t have guilt when grabbing a handful of these Cinnamon Sugar Glazed Pumpkin Donut Holes by le Creme de la Crumb. 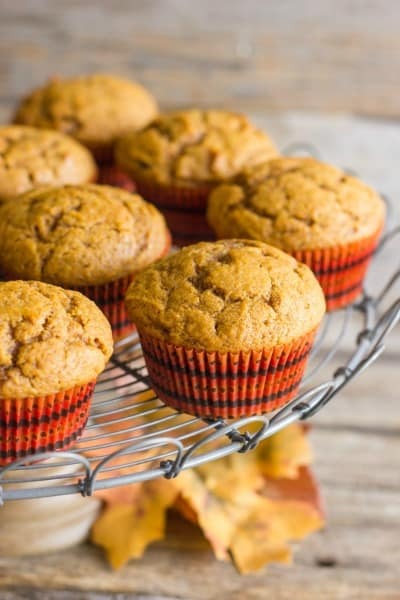 With “best ever” in the title, we’d be crazy not to try these Best Ever Pumpkin Muffins by Lovely Little Kitchen. You could also package these in cute little to-go containers for the guests to enjoy on the drive home. 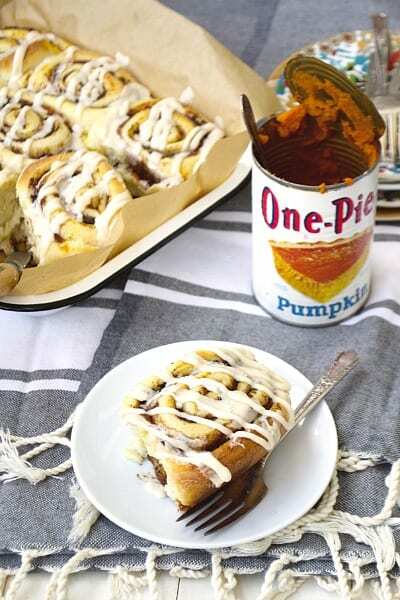 Here’s another recipe with “best” in the title and it looks irresistible – The Best Pumpkin Cinnamon Rolls by Averie Cooks. It looks like you may need extra napkins with these but it would be so worth it! 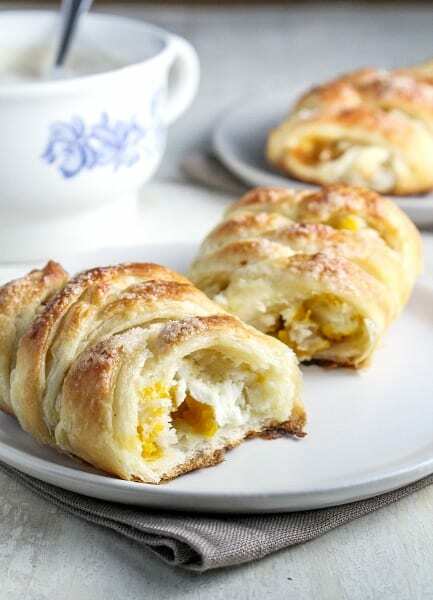 I’m totally drooling over these Pumpkin Butter and Cream Cheese Danishes by Katie At The Kitchen Door. These wouldn’t last long on the breakfast table! Sugar, spice & maple iced, that’s what Thanksgiving brunch dreams are made of! 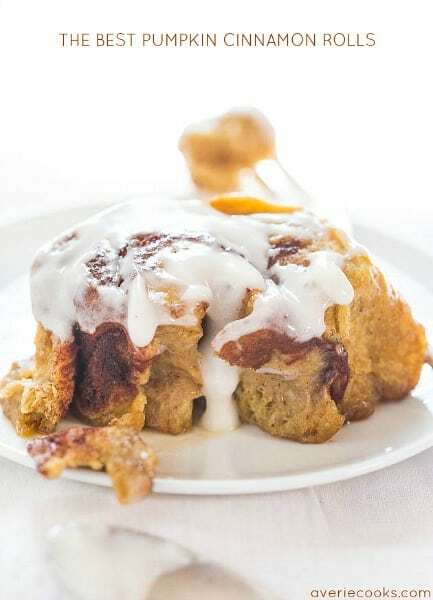 These Sugar, Spice & Maple Iced Pumpkin Cinnamon Rolls by Young Austinian look so delicious! I love puffed pastries – perfect for dessert or brunch! 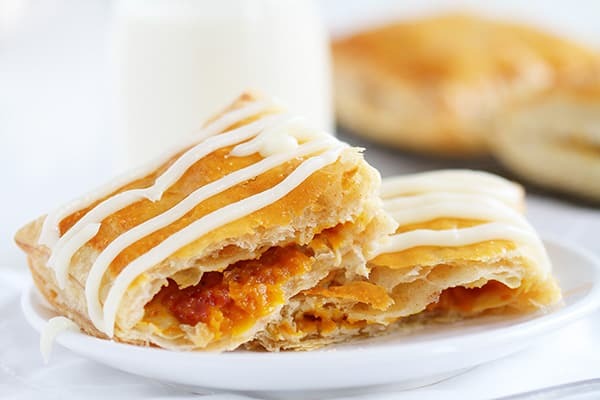 These Pumpkin Puff Pastries by I Am Baker are perfect for the Fall season. 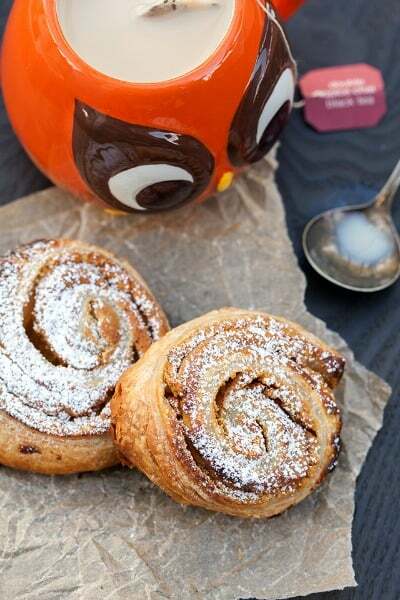 These Spiced Pumpkin and Cream Cheese Puff Pastry Spirals by Spache the Spatula would be great for brunch or dessert. 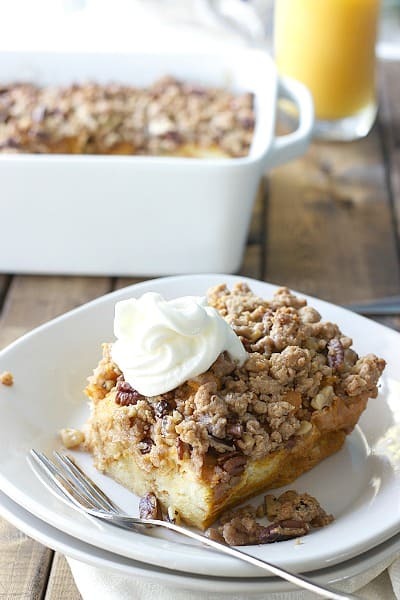 This Pumpkin Spice French Toast Casserole by The Cooking Jar looks like one of those recipes that everyone will be asking you for after Thanksgiving brunch. I bet this could turn into a tasty Thanksgiving tradition. Don’t forget to schedule an afternoon tea party with your best girlfriends either before the Thanksgiving festivities or after all the Thanksgiving dishes are complete! 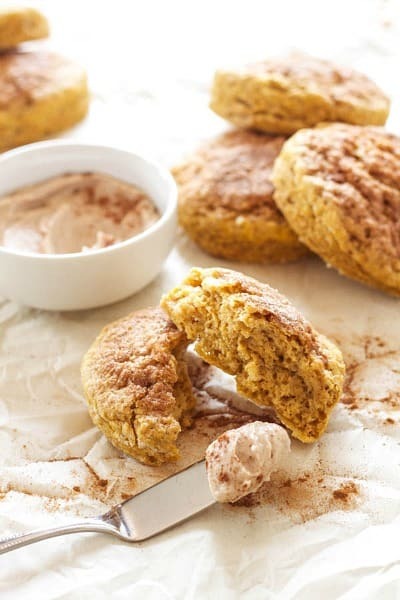 These Cinnamon Sugar Pumpkin Scones by Recipe Runner would be the perfect treat to enjoy while talking about all of your holiday excitement. Don’t forget to visit our Thanksgiving page for even more creative ideas. For more ideas for family fun & holiday celebrations, follow us on Facebook, Twitter, Pinterest, Google + and Bloglovin’.